On the occasion, a national symposium on "Twinkle Twinkle Little Star" is scheduled to be held in the national capital. Prominent persons are expected to address the session. 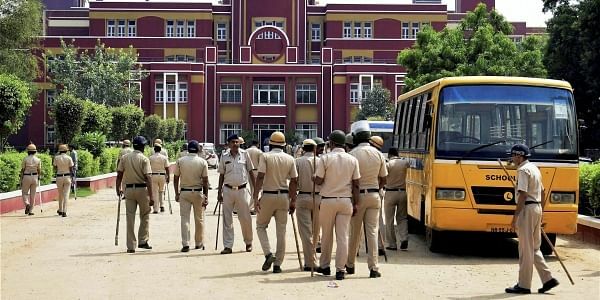 GURUGRAM: The Pradhyumn Foundation Trust, named after Pradhyumn Thakur who was murdered on September 8 within the premises of Ryan International School, Bhondsi, is launching a nationwide "Child Safety" campaign on November 14. The child safety campaign is being launched from the national capital in order to work for a larger cause which is welfare of crores of schoolgoing children across the country. Founder Chairman and Pradhyumn's father Barun Chandra Thakur, in a communication, said that he has dedicated his life to the cause of children going to schools across the country to raise awareness about child safety. "School managements should do everything possible to ensure that no child meets the fate of my son and develop preventive mechanisms to ensure that children remain safe within the premises of the school," Thakur said here on Monday.